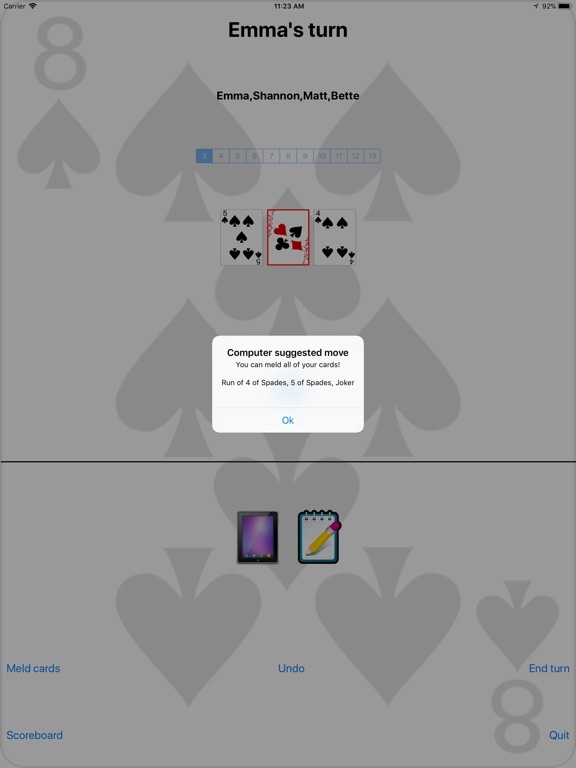 Five Suits Connected (formerly named "Five Crowns") is an online card game based on the Five Crowns game by Set Enterprises, Inc. 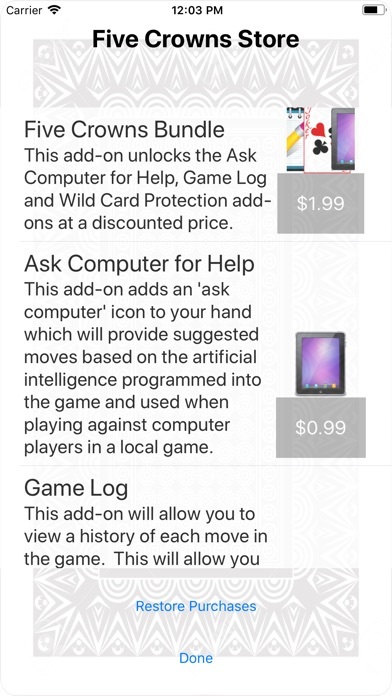 It is a turn-based card game that the whole family can play. 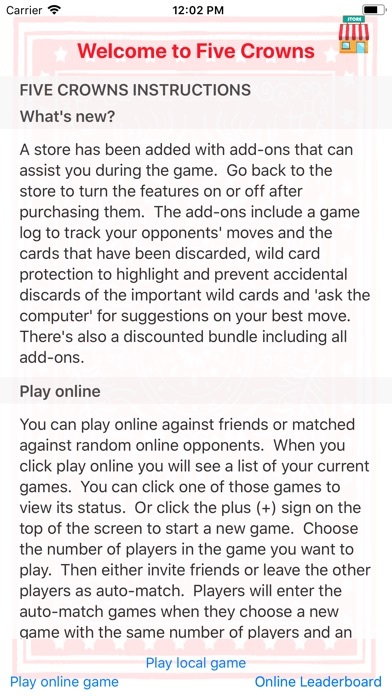 With online play games can be played with family, friends or someone new from around the world in a match that doesn't end until all rounds have been played. 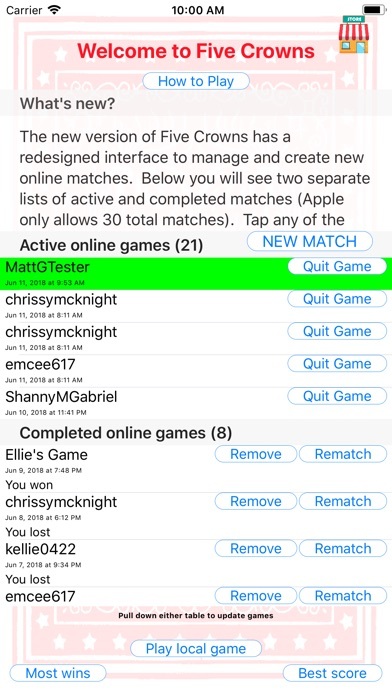 Online play also features in-game messaging for interacting with your opponents. 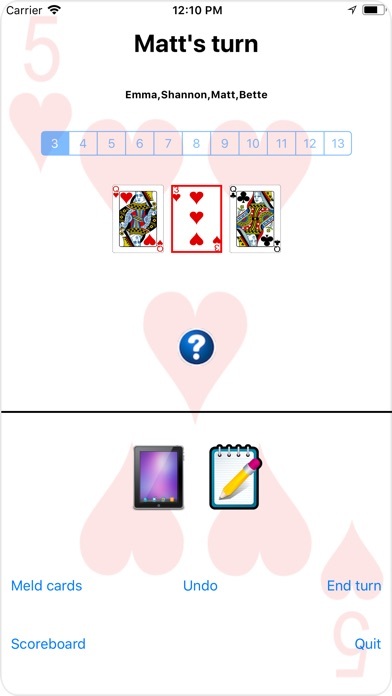 Five Suits Connected can also be played offline on a single device against others or against computer opponents. 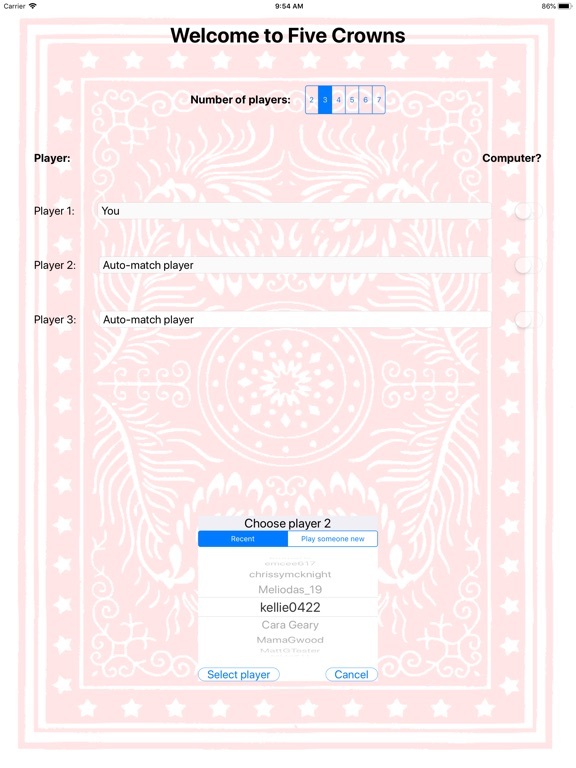 The objective is to obtain the lowest number of points after playing all eleven hands of the game. 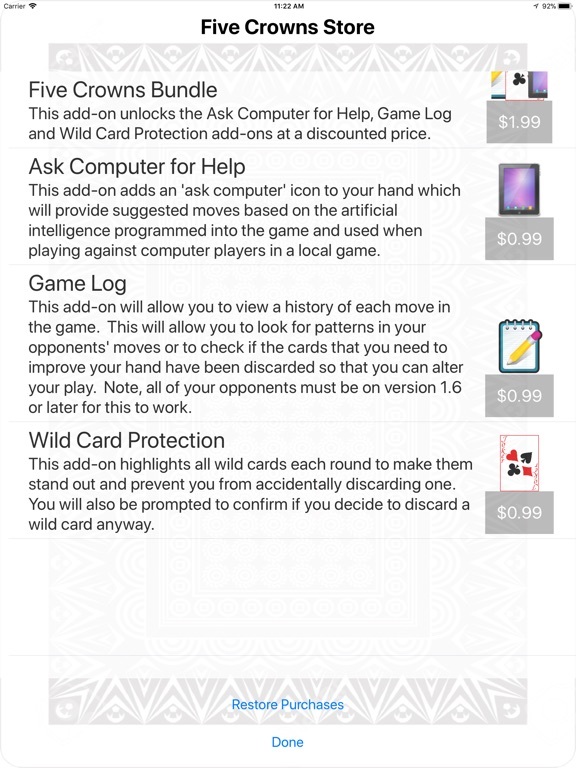 The game consists of two 55 card decks ranging from 3's to Kings of 5 suits. There are an additional 6 Jokers in the deck. In the first round, 3 cards are dealt to each player. Each round the cards are reshuffled and an additional card is dealt to each player. This continues until each player is dealt 13 cards in the last round. Each turn starts by either drawing a card from the deck or picking up the top card from the discard pile. The turn is completed by discarding one card. 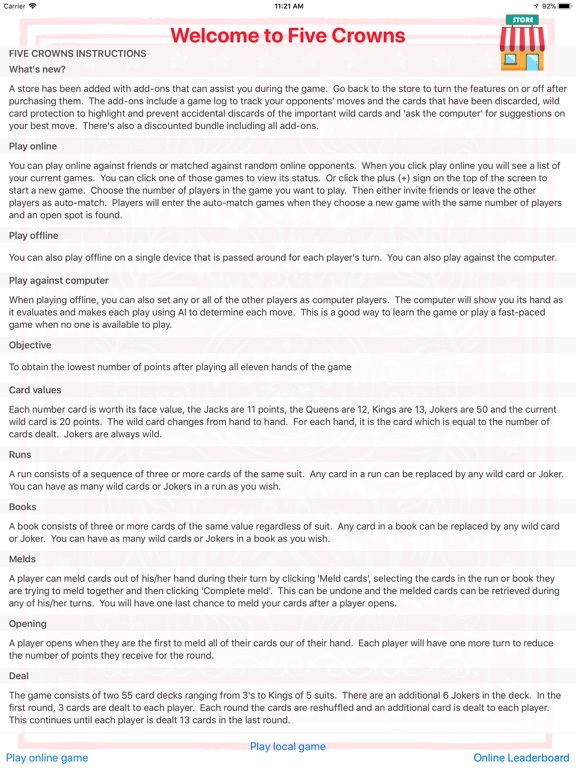 A player can meld some or all of his or her books and/or runs during any of his or her turns. When a player melds all of the cards out of his or her hand they "open". 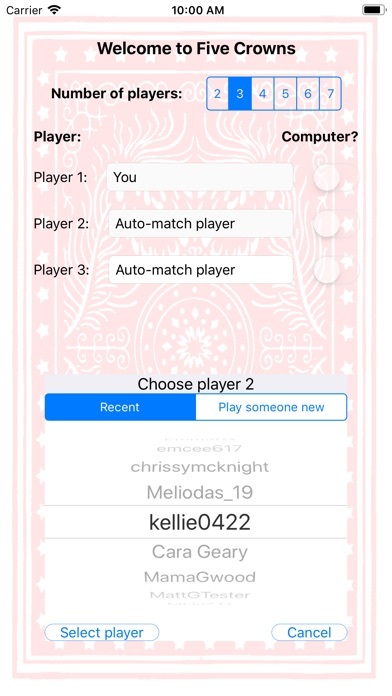 When a player is able to open, the remaining players each have one last turn. Each player will pick up a card, lay down a card and meld his/her books and/or runs to remove those cards from his/her hand. The remaining cards count as points against him/her for this round. 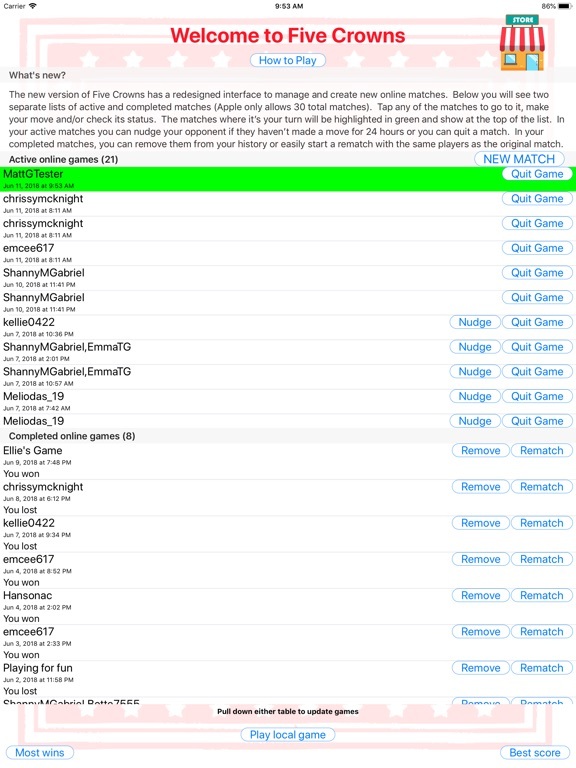 The player who goes first in each round rotates. Play continues until the eleventh hand when the Kings are wild. The player with the lowest score wins. Five Suits Connected (formerly "Five Crowns") has been renamed.